As some of you might know, I’ve done a few things for the upcoming debut of Gotham Digest. No, they’re not ready yet until May. If they’re up and running, I’ll let you know and show some love and support to me and my freelancing employer! Frozen yogurt was the chosen topic by the assistant editor so I’m out to try out five different places for fro-yo. Since I wasn’t able to stomach all of that. I invited Helen, Ariel, Seungmi, Julie, and Joo He on this fro-yo expedition of finding the best. Since I’m not going to kill you with a ton of critiques (and I don’t have the energy to write it), the best tasting one was Flurt. The pleasantly tart yogurt flavor lasted on my tongue for a good minute and the toppings were good but regret having the mango since it wasn’t ripe enough. 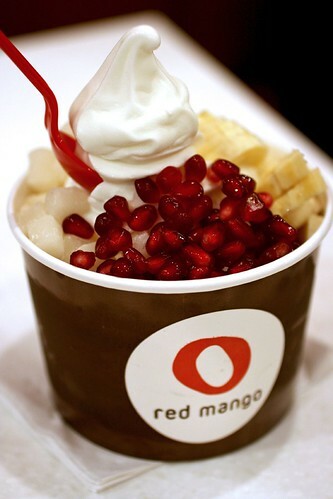 I do like Red Mango‘s toppings (especially the mochi) but their yogurt flavor sucked. The tartness diminished within 2 seconds on the tongue. But one I should mention that is pretty good and they serve ginormous portions for a small is Forty Carrots in Bloomingdales. For five bucks, they will give you a small bucket of creamy yogurt and it will fill you up pretty well if you didn’t have lunch like I did. Other places weren’t memorable. I did try Pinkberry for the first time, just for the sake of wanting to know what’s so great about it. I would have never thought they would be so skimpy with the fro-yo. The flavors were decent at best. The tart flavors are kind of strange to me. 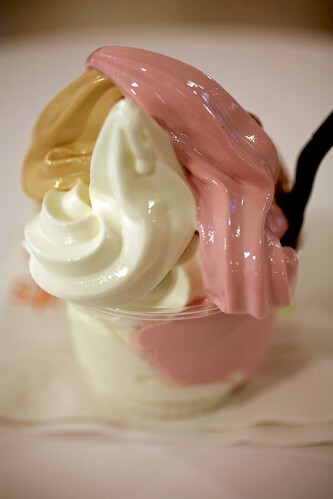 I consider it the Starbucks of fro-yo – seriously overrated and they’re on every block in Manhattan. We’re being invaded by mediocrity. Moving on…after eating out all the fro-yo places most of us (as in Helen, Julie, and Seungmi) stuck around for dinner at Taïm. It ended up being our dinner spot just because it’s cheap, filling (despite being stuffed with fro-yo), and most importantly, serving the tastiest falafels I’ve ever eaten in the city. Sabich! ZOMG! That was insanely good albeit a messy sandwich. 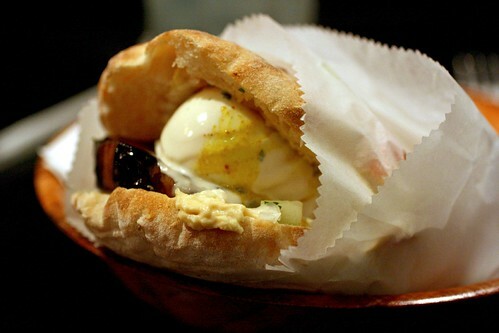 Stuffed within this pillowy, warm, chewy pita were slices of fried eggplant, sliced hard boiled egg, Israeli salad, and some amba, tahini, and other tasty stuff drizzled in this densely packed pocket. I never felt elated from eating a sandwich like this in a long while. Helen, Seungmi, and Julie all had the harissa falafel just because, I praised it so much while we’re waiting on line to order the food. 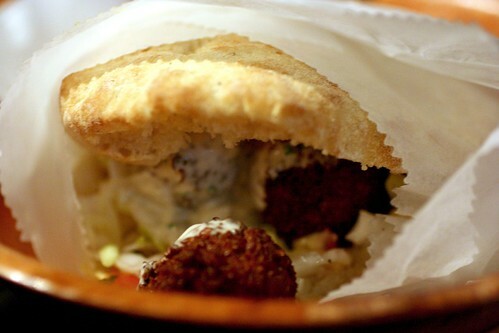 This was their first (and arguably, best) falafel sandwich they’ve eaten. I should mention that Helen and I tried their iced teas. 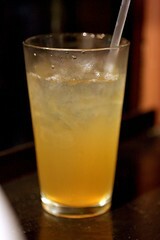 She got the brown sugar lemonade which was sweet, lemony with slight hint of molasses from the brown sugar. 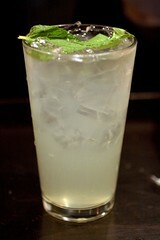 My ginger-mint lemonade was refreshing and it’s great with the heavy sabich. After dinner, we all walked over to our subway stations (around Union Square area), hugged each other for a farewell and bid each other goodnight. I passed out on the train ride home since I’m exhausted from walking around for the fro-yo and I’m in a food coma. Thanks for the recos. 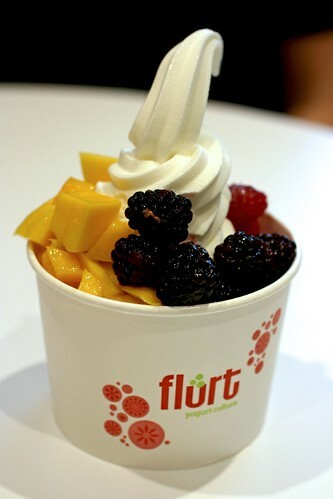 Tried Flurt and loved it. I missed your comment about the mangos though and you were right. They were crunchy. ohh im so sad i couldnt go with you to taste all the fro-yo but they look good im deff going to make it a point to try Flurt. 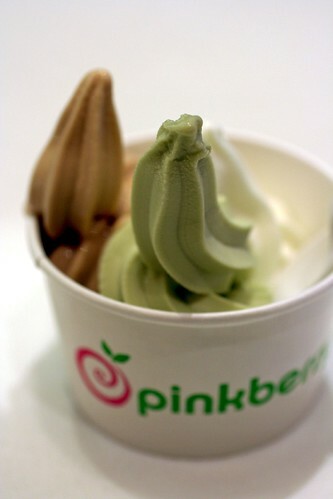 Pinkberry really is soooo overrated! Ooh thanks for the yogurt review! A flurt is coming to my neighborhood in Jersey. Can’t wait til it’s open. Tony: No problem! Thanks for confirming my thought about the mango. Giulia: Aww…yeah, I know you’re busy with school so I can’t force you to come with me. But do try Flurt’s fro-yo. 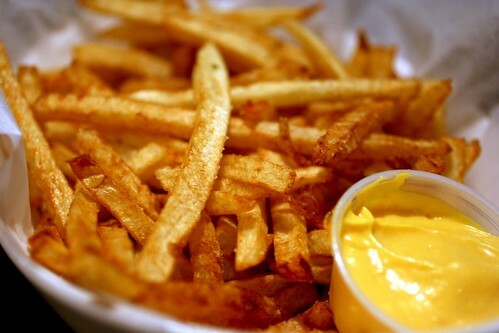 It’s NOM NOM. Eugy: You’re welcome! Woot for NJ for getting tasty fro-yo. I just sneaked in a photo while the employees were swamped with customers that afternoon so I took the photo of my meager portioned fro-yo. I just learned about Sabich and made it myself for the first time. So freaking good!